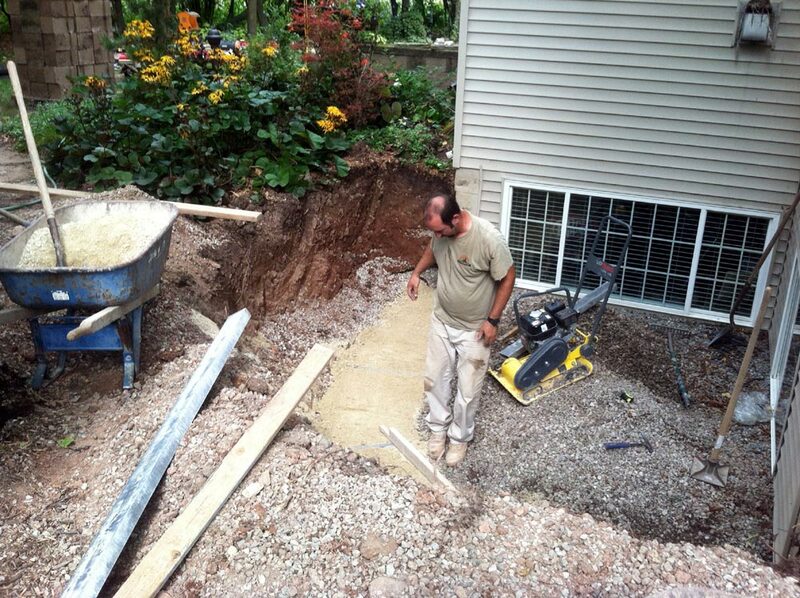 Over the years we’ve been called to many homes in the Fox Valley to assess hardscapes in various states of disrepair. When the issue is a failing retaining wall, often the failure is due to the original construction being executed outside of designed specifications; lack of geogrid, insufficient embedment of the wall material into the subgrade, incomplete compaction of backfill…any of about a dozen common reasons retaining walls fail. The great news is that just because your wall is currently in a state of failure, your wall can usually be repaired to better-than-new condition, often for less than it would cost to replace the wall completely. 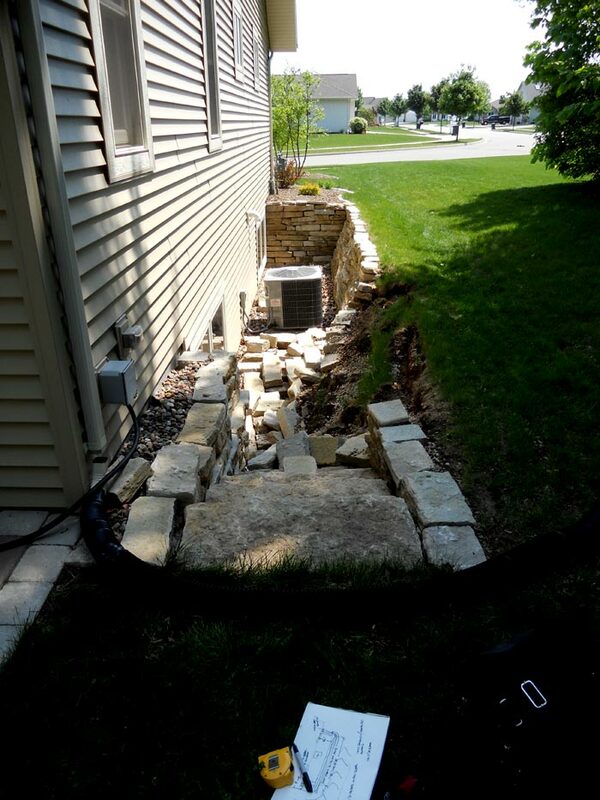 Above is a failing retaining wall we rebuilt in Neenah. The reasons for failure included zero block embedment, improper base prep and inadequate clear fill behind the wall. 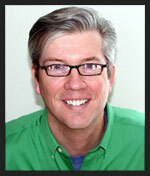 Several years after the wall was built, it had heaved and shifted and was near complete failure. 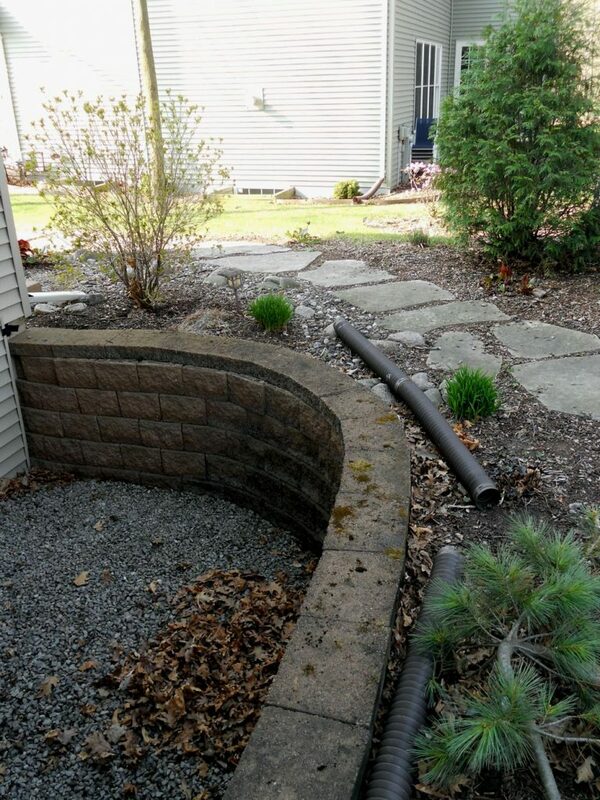 We tore it down to the very bottom, re-excavated the area and rebuilt the wall…properly. 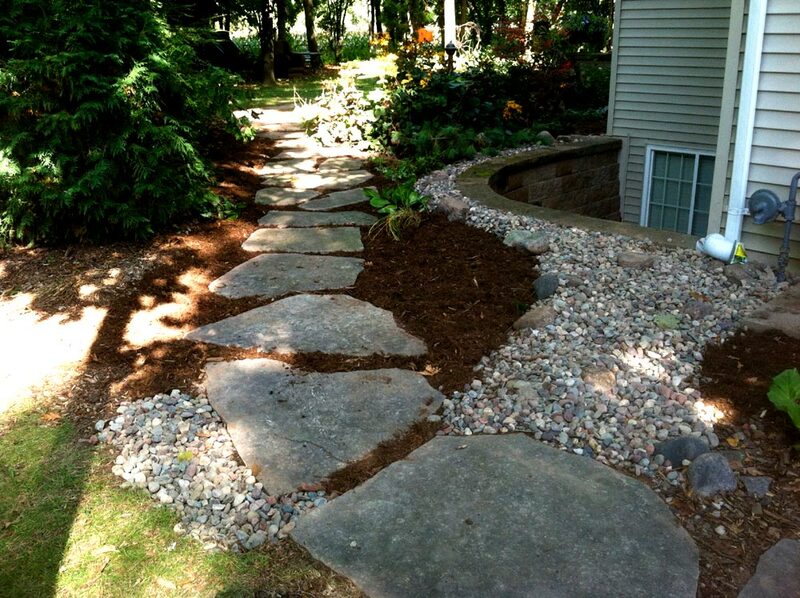 After proper backfill, and re-planting all the shrubs and perennials, flagstone and mulch we needed to displace in the repair, it was back to looking better than new. Another example below from a repaired wall in Appleton. Beautiful seamface limestone that had literally caved in twice due to improper construction, but more importantly improper grading and drainage of the soils the wall was retaining. After another comprehensive tear down and rebuild, including a more involved drainage solution and the use of geogrid, the wall looked gorgeous, the area drained properly, and will be standing tall for many years. 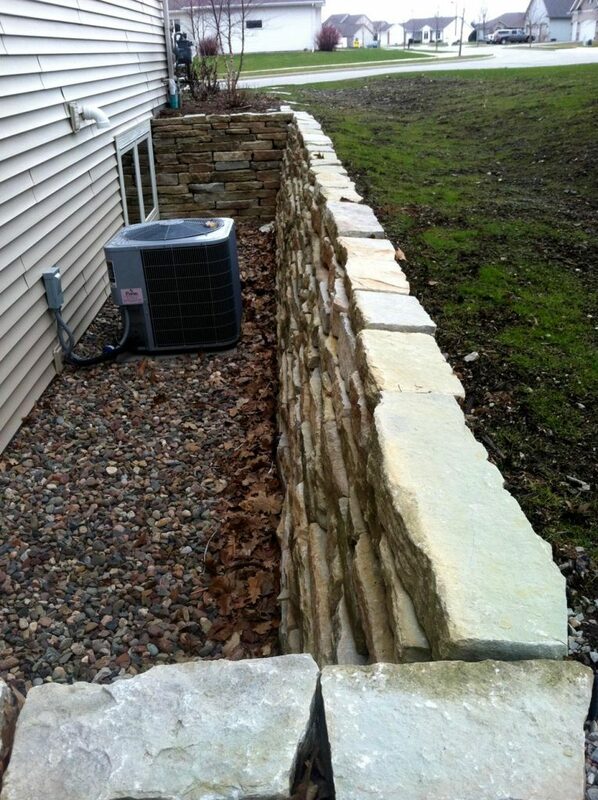 If your retaining wall is failing, please get in touch so we can talk about rebuilding your walls, better and stronger.